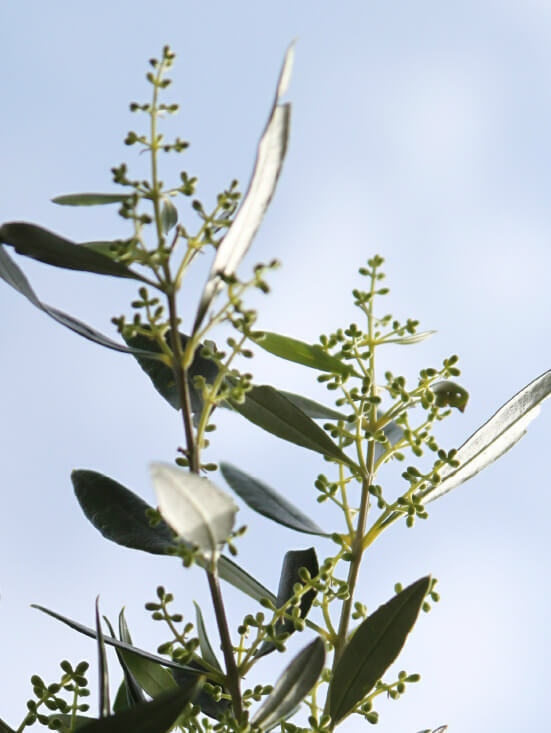 Taking into account the art of our grandparents and the valuable advice of specialized scientists, we fertilise, prune and plow our groves in such a way as to effortlessly give us an extra virgin olive oil of high quality, free from any chemical. The whole process is being supervised and certified by the Inspection Institute for Organic Products “BIO Hellas”. Harvesting olives is part of a family feast, a custom holding centuries in Crete, where the family members gather altogether to celebrate throughout the harvest period. 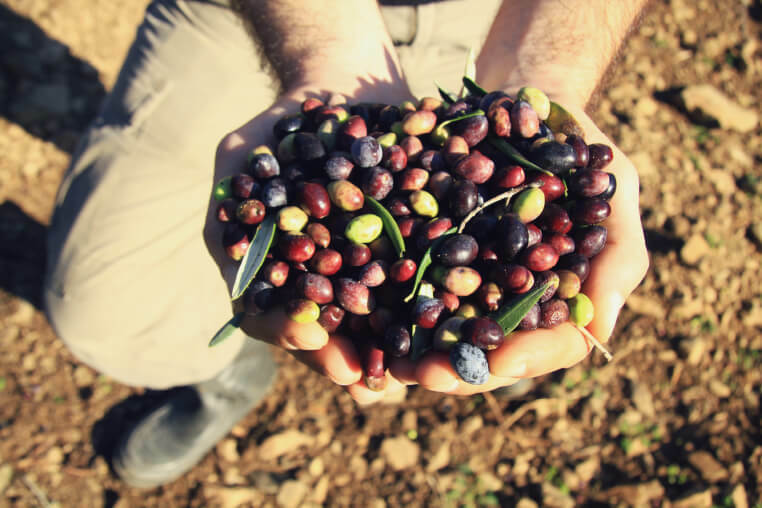 The olives are picked at the right time only by hands or mechanically, and milled to the nearby certified mill at the same day at a temperature not exceeding 25 ° C, so that our fresh olive oil has the best possible quality. After much quest and query either we collect ourselves either we cooperate with local growers to supply us with outstanding and pure materials which we add in soap making together with the olive oil. We only choose products that Crete offers us in high quality and which ensure the traceability and the nominal origin of our soap. 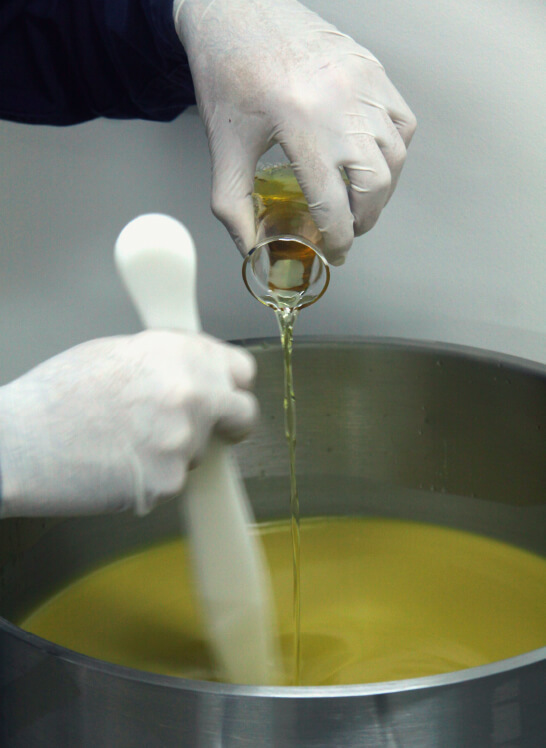 We use the cold process soap making, so as to retain the precious ingredients for the skin, as well as the natural glycerin which is formed during saponification and is absent from manufactured soaps. 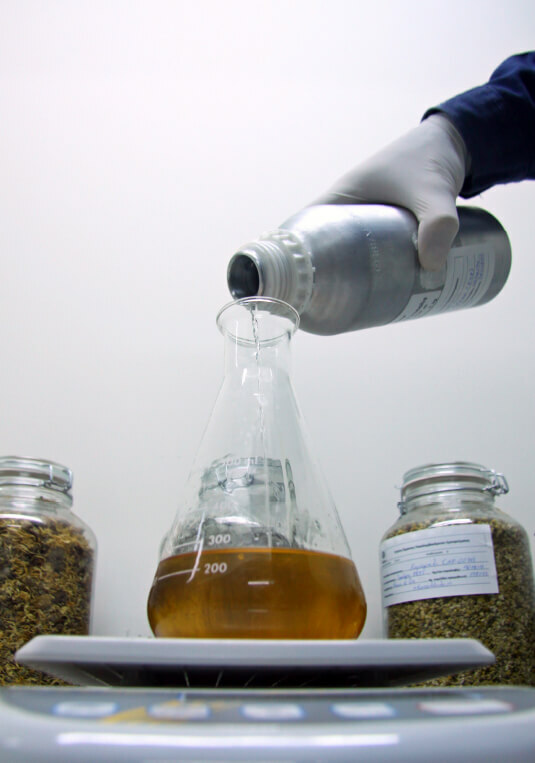 The cold process makes our soap and our cosmetic lab completely ecological. 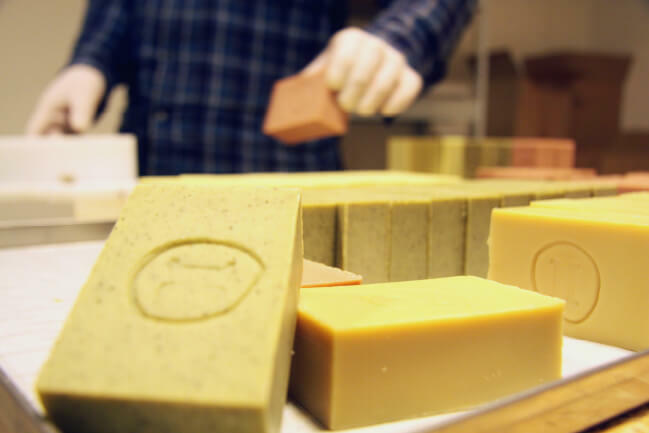 After making and cutting process, our soaps rest for at least two months in appropriate natural conditions until they fully cure and become absolutely gentle for the skin. The completion of curing is being followed by laboratory tests for the final confirmation of safe use of soap. The final touch is also handmade, as in all previous stages. 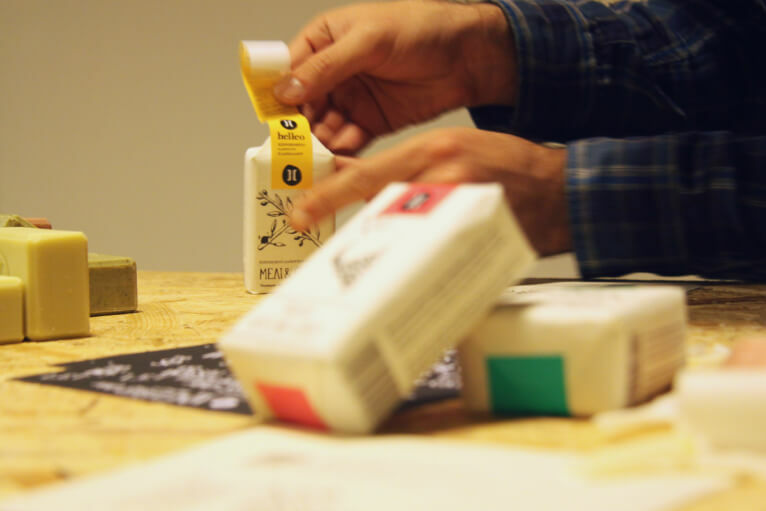 Once stamped, the soaps are wrapped in recycled paper hiding inside a secret, which tells the story of every soap, from the time of sowing until it finally reaches our hands to take care of us.